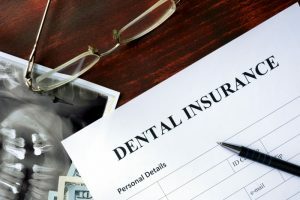 Most insurance companies have a deadline of December 31st to use your dental benefits, meaning dental money you’ve racked up won’t roll over into the new year. So, how do you make the most of your dental insurance? The key here is to see your dentist early in the year. Most insurance plans cover 100% of preventive visits like cleanings and checkups, so you can make sure to see your dentist twice a year. This not only utilizes your benefits, but it keeps your oral hygiene in tip-top shape. Visits early in the year are also a great way to plan out possible treatments for the rest of your benefits period. Your dentist will help give you a better idea of whether or not you’ll need more extensive treatments before December 31st, so you can better plan out and utilize your insurance coverage. FSA’s are accounts that you can set up through your employer. You can choose how much money gets put into your account, which will be deducted from each paycheck pre-tax. These dollars can cover preventive treatments and other products that keep your mouth healthy. With FSA’s, it’s even more important that you see your dentist early in the year to plan out what sort of treatments you may be needing. That way, you’ll know how much money to put into your account. You don’t want to be short on FSA money if you need a larger treatment, but you also don’t want to reach the end of the year with left over dollars. Some employers offer a grace period or allow you to roll over some of your FSA money, so talk to your employer to make sure you know these important deadlines. To be on the safe side, make sure you see your dentist at least twice a year. Discuss with them possible treatments you may need to make sure you can use all of your benefits by the end of the year. Use the above tips to maximize your hard-earned insurance dollars and keep your mouth healthy at the same time. Dr. Yelena Obholz currently practices at Aesthetic & Family Dentistry, where she enjoys providing quality care to her patients. She accepts all PPO dental plans and participates with other various dental insurance companies. For any questions, she can be contacted through her website or by phone at (202) 364-8989.